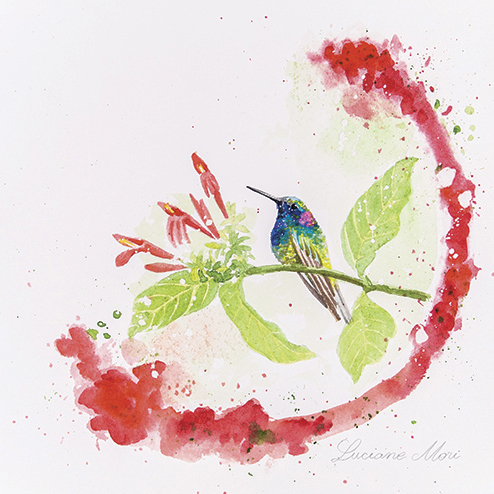 FEBRUARY | Downtown Subscription - presents Lu Mori, brazilian artist: Brazilian Hummingbirds. 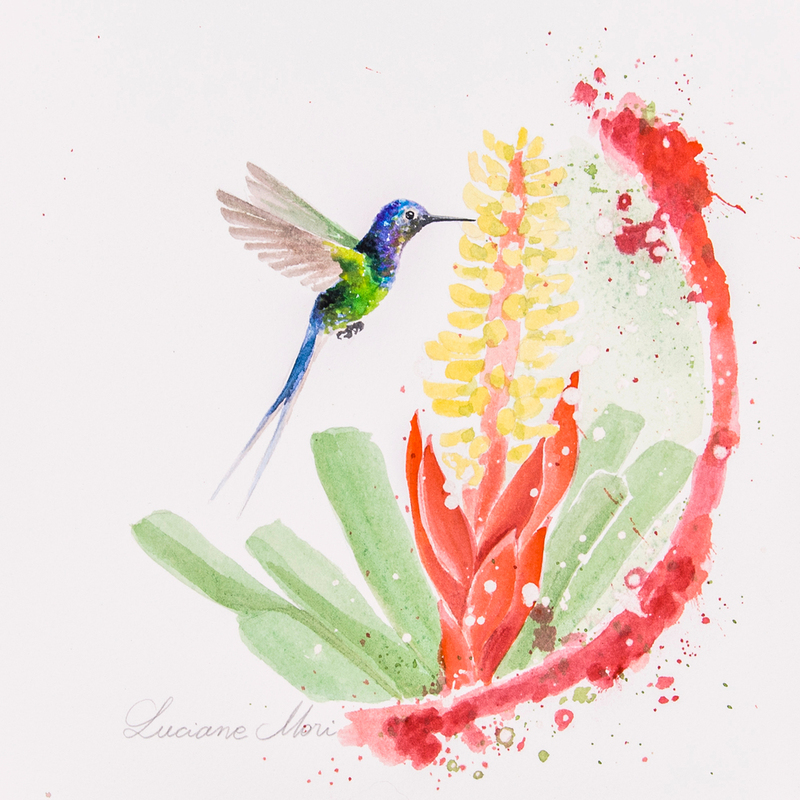 Watercolors on paper. 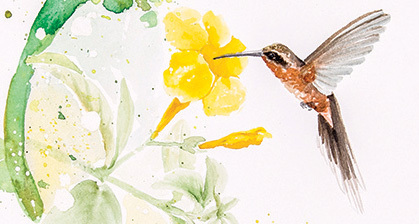 The exhibition at Downtown Subscription is finished. 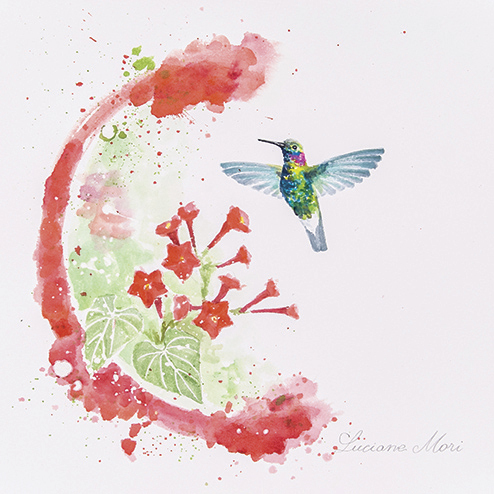 Lu Mori - Brazilian artist - inherited from her Japanese grandparents the discipline of meticulous work, which appears in her refined skill as scientific illustrator. 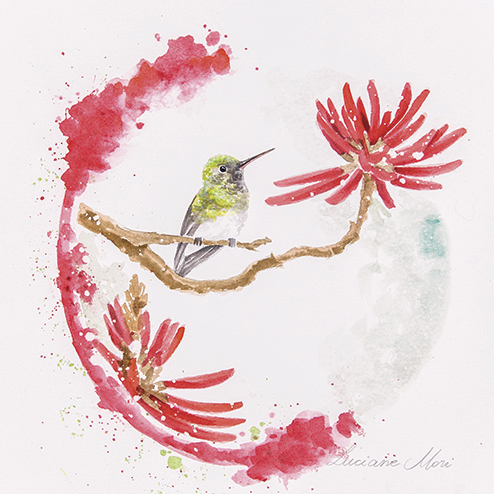 She lives everyday closely in touch with nature, where she paints, practices gardening and hikes around the island where she lives, Florianópolis, SC, Brazil. 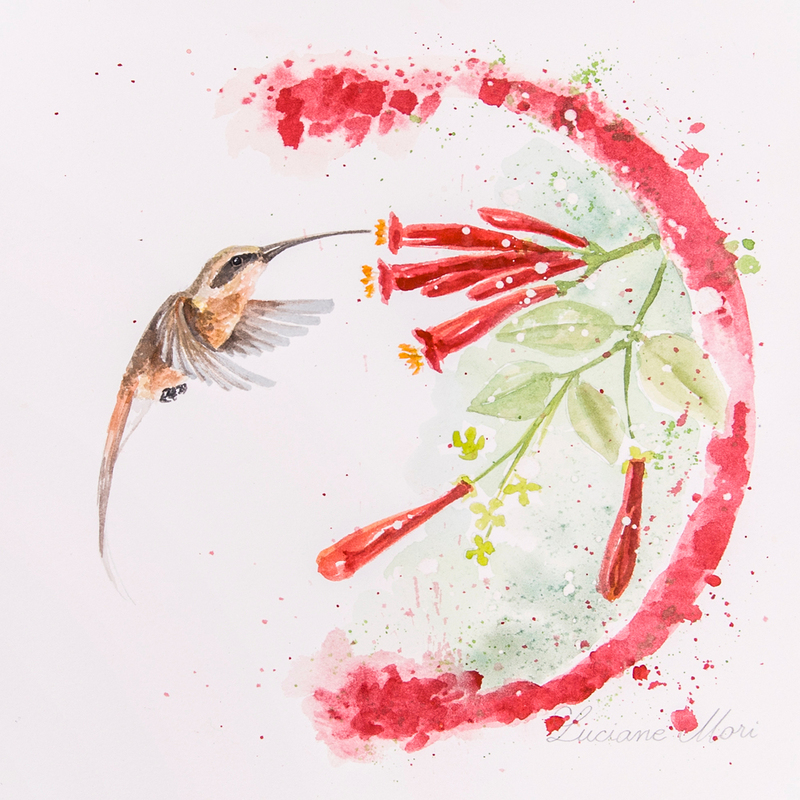 In her daily life Lu Mori likes to intimately observe the hummingbirds that visit her flowers. 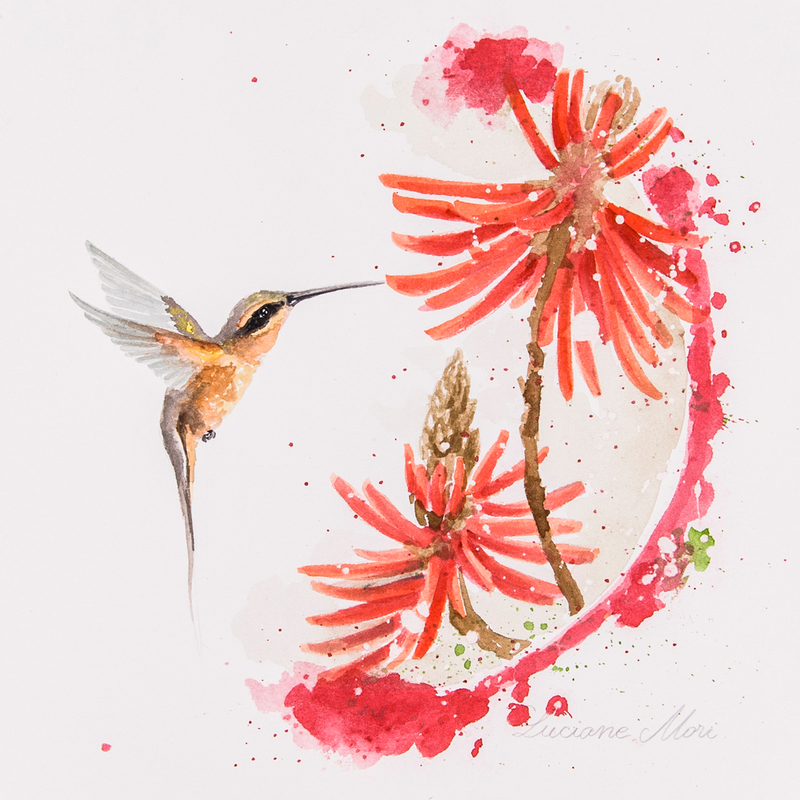 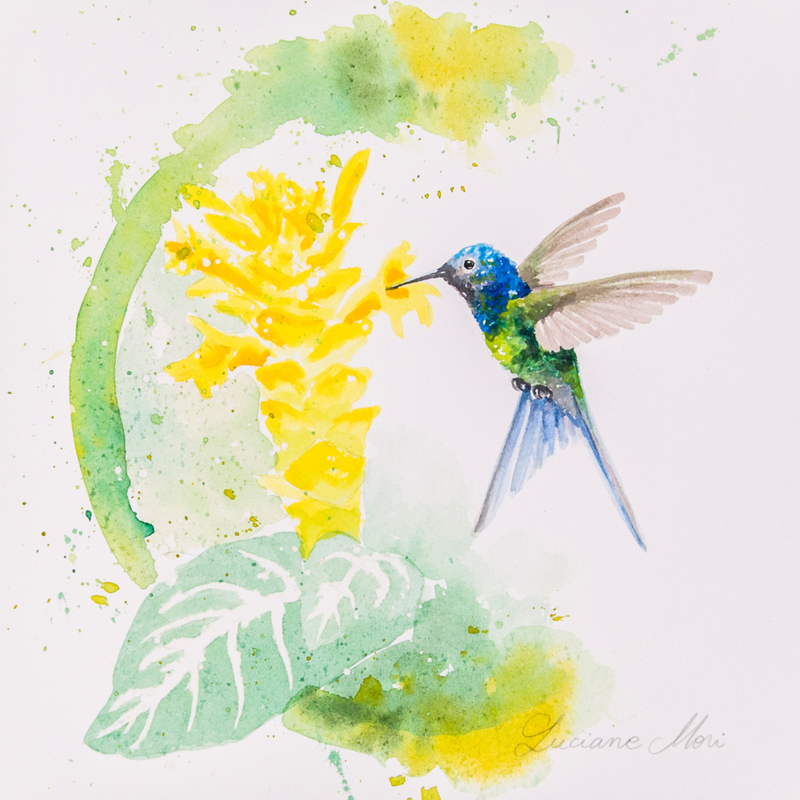 In an attempt to turn the ephemeral beauty of flowers into a permanent presence, the artist found the inspiration to create these watercolor paintings of Brazilian hummingbirds and flowers.